Don’t be fooled by the off the scale cuteness quotient. 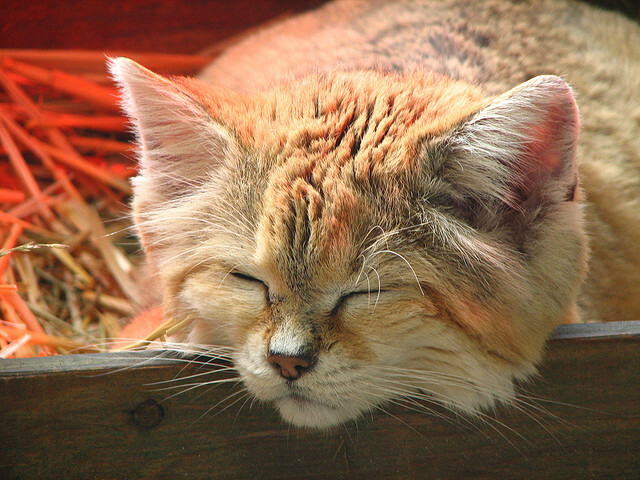 This is the Sand Cat – or Felis margarita, a little known species of desert cat. 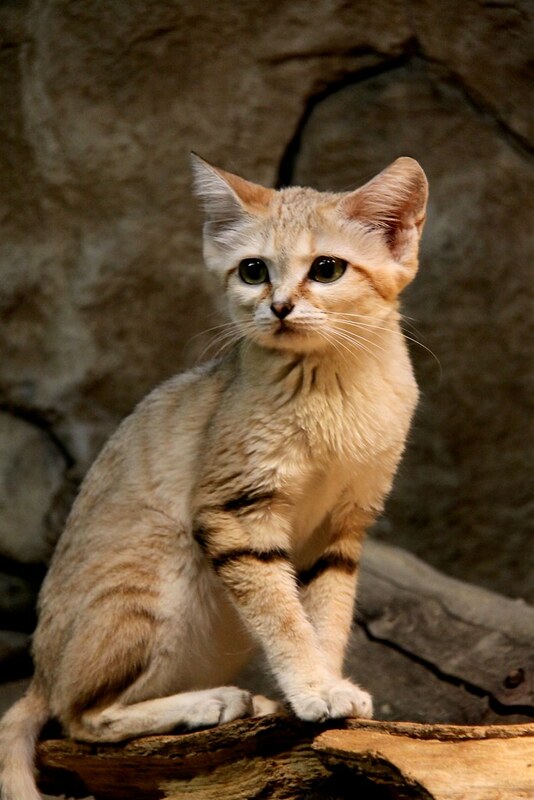 In the wild it lives in areas that are too hot and dry for any other cat- the deserts of Africa and Asia, including the Sahara. 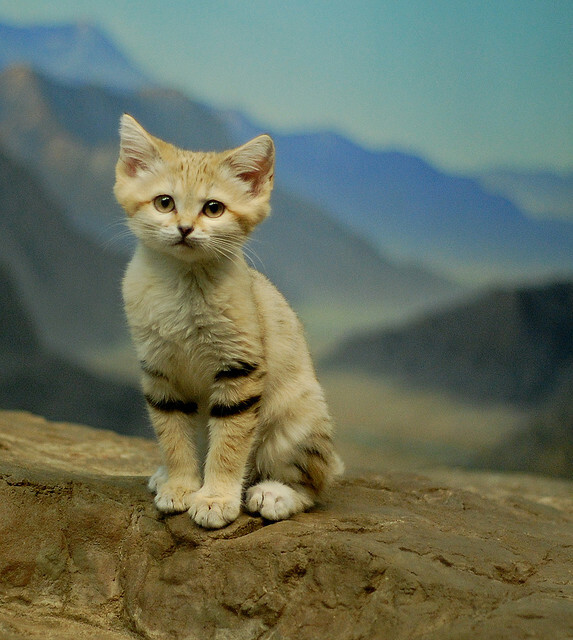 It is the only desert species of cat known to us. As such, this cat is one tough cookie. It also lives in the Arabian desert and those of Iran and Pakistan, yet despite being so widespread it was not described by a European until 1858. 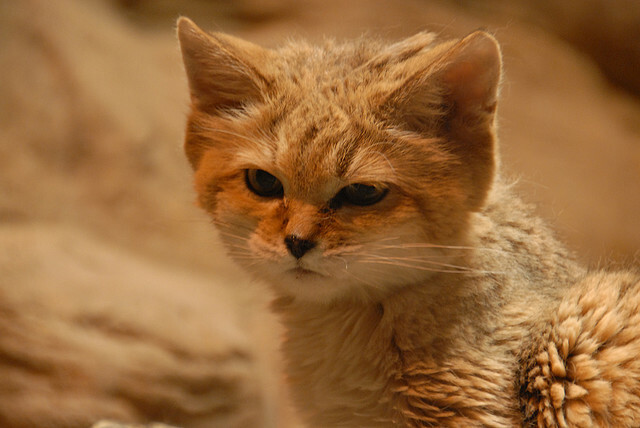 That happened to be one Victor Loche, a French soldier and naturalist who explored the Northern Sahara and found the sand cat waiting patiently there for his descriptive skills. He named it Felis margarita after Jean August Margueritte. 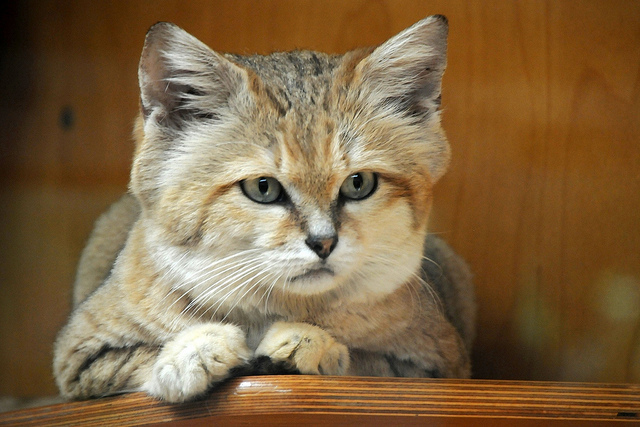 Although this made the species sound half cat half cocktail, Margueritte had led the expedition during which Loche had ‘discovered’ the cat and went on to be a distinguished army general who served in Algeria. He died after sustaining a mortal wound during the great cavalry charge at the battle of Sedan during the Franco-Prussian war. 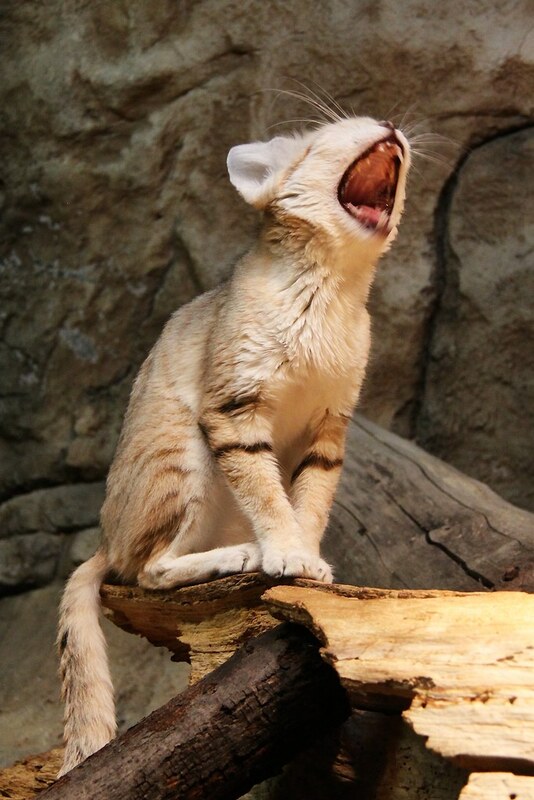 Loche sought to preserve his name for prosperity by naming his ferocious feline find after him. 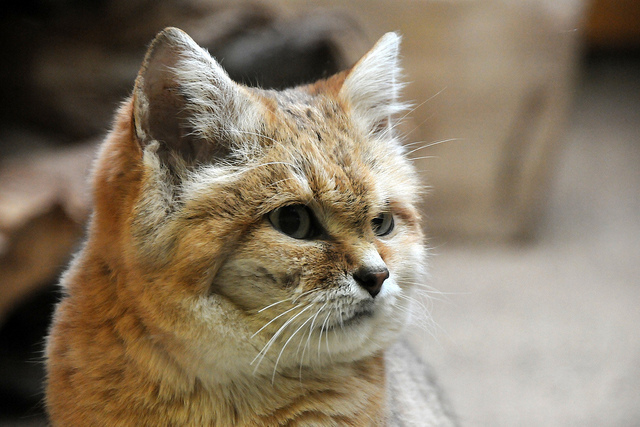 To an extent the sand cat could be mistaken for a domestic cat but there are differences, noticeably the very broad head. 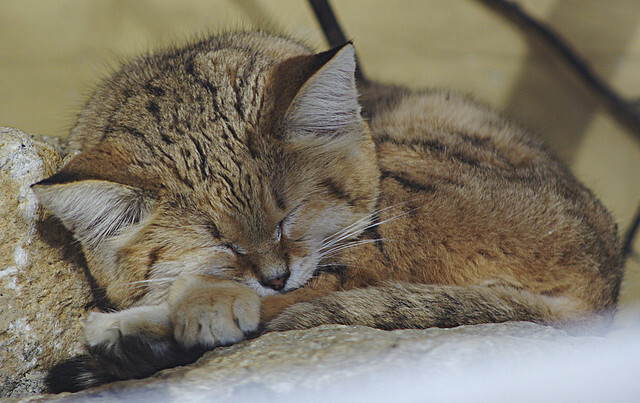 Additionally the ears are much wider apart than they are in the domestic cat – a feature which means that the sand cat can flatten them horizontally when hunting. They are a little larger, growing up to ten centimeters longer in length than the domestic cat, with a span of up to sixty centimeters. 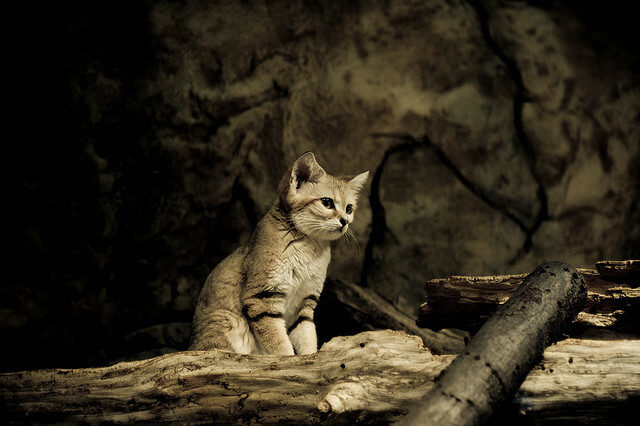 Likewise with their height – they usually grow to about six centimeters taller than the domestic cat. 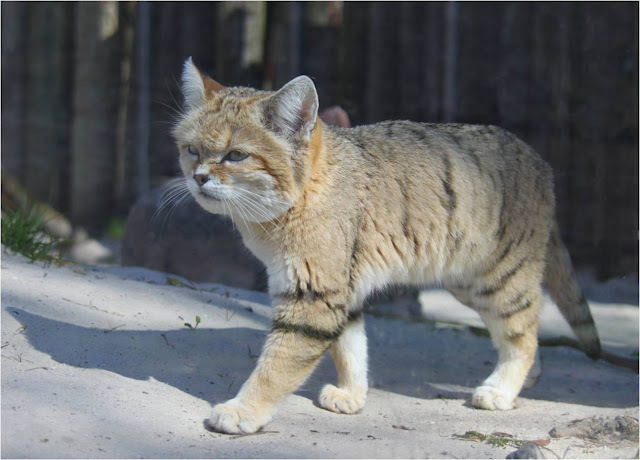 Their sandy yellow fur sets them further apart, as do the pale bars which can be found on their legs and backs. Perhaps what adds to their attractiveness is the white chin and underside and the pale red stripes which run over the cheeks from the eyes. One difference from the cats that we know which is difficult to see in these pictures is the fur that the cats have between their toes. 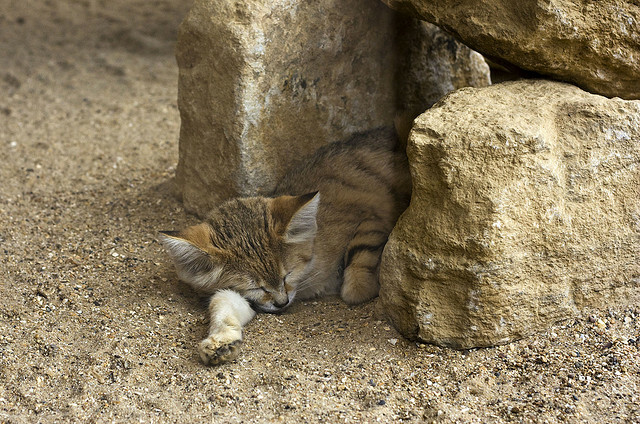 You might think that the last thing a desert living cat might need is more fur but this helps to insulate them against the piping hot sand over which they must stalk their prey. They also have fur on their footpads which makes it very difficult to hunt as the fur misshapes their tracks. 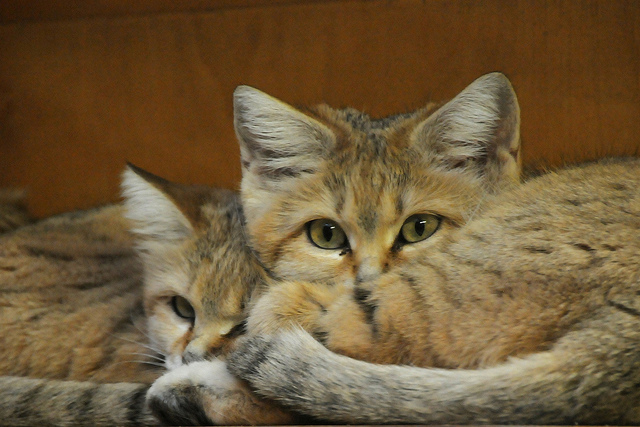 The hollow structure that encloses part of their middle and inner ear, their auditory bullae, are also larger than those of the domestic cat. This helps to enhance their hearing and with it they can pick up vibrations in the sand. Finally their mucosa (the membrane around their eyelids) is a conspicuous black which gives them a certain eyeliner look. 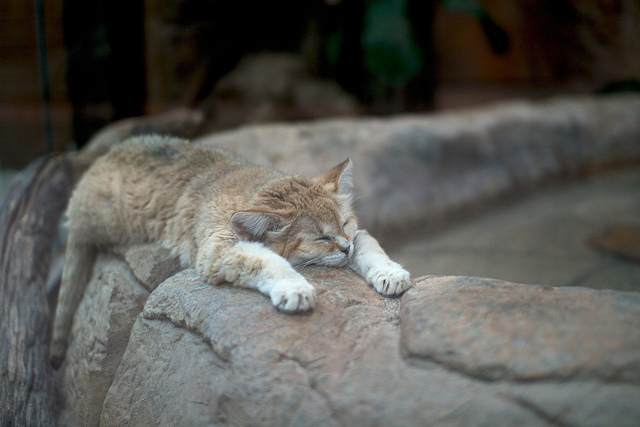 So desolate is their natural habitat that sometimes the sand cat can go for months without a drink of water. Instead, they survive off the water in their food;, which is mostly rodents but they will also eat birds, lizards and insects. They will not eat a human diet like Medifast; or use Medifast coupons. They will not live in sand dunes themselves but prefer flat or rolling terrains, retreating to their burrows when it becomes too hot even for them. As they mostly eat rodents, they do a lot of digging. Skulking close to the ground they use their extremely sensitive hearing to detect the sound of burrowing underneath them. When they hear something which corresponds to a meal they dig down to catch their prey. Despite the fact they are not terribly social and only really get together for mating they do not defend territory. They have even been observed taking turns sharing burrows. One cat will leave and hunt while another stays behind and rests. When the first returns, the other will leave. As well as their obvious enemy (us!) 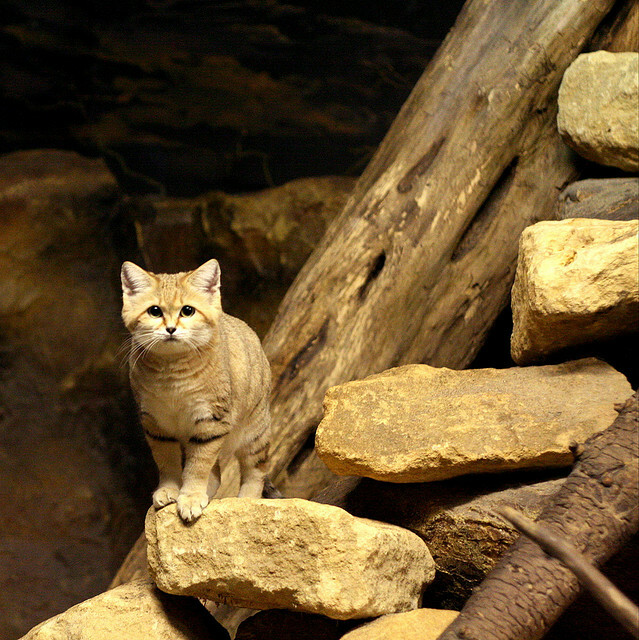 the sand cat is not at the top of its own particular food chain. It is predated by wolves and even occasionally by snakes and large birds of prey. Yet they are fearless creatures – and are obliviously unafraid of humans when they come in to contact with us. 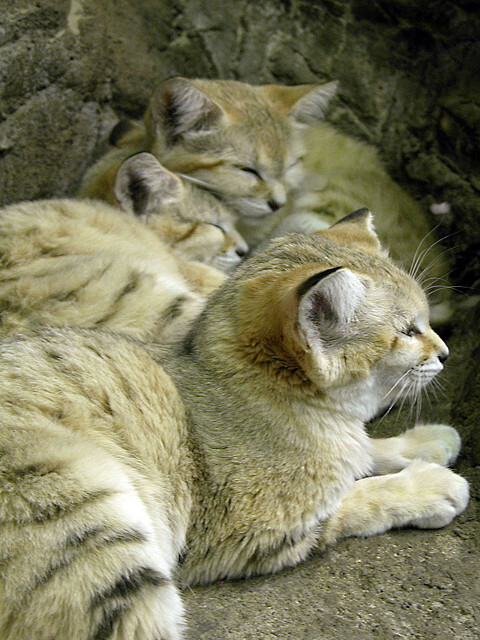 Hunting the sand cat is prohibited only in half the countries in its range, though it is hoped that this law will soon extend throughout its territories. It has even recently been reintroduced in to the wild in Israel where it had been previously extirpated. 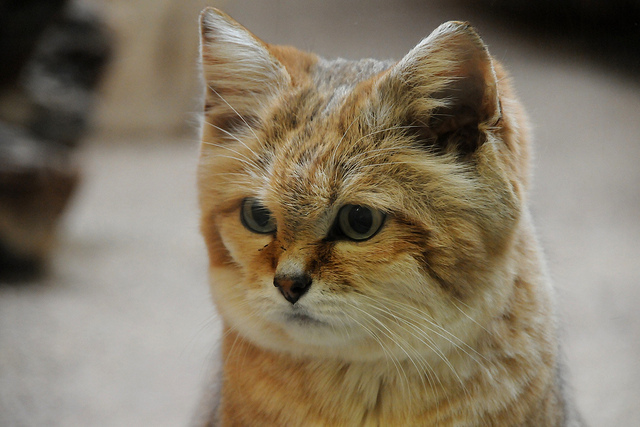 It remains one of the least known but beautiful cat species on the planet.